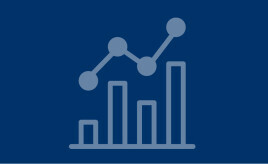 SFHA is producing a number of pieces of pieces of governing guidance in the coming months. A timetable for the publication of these has been identified. Is your organisation ready for the Lobbying Act? Does your association ever engage with MSPs, Ministers or Scottish Government special advisers? If so, the Lobbying Act could apply to you. It comes into effect on 12 March so make sure you are ready! One of the highlights of this year’s conference will be the return of the award-winning Apprentice Challenge. Report looks back on past year of SHR’s work. Short survey closes on 20 November. Last chance to book your place at tomorrow's event: What will the Lobbying Act mean for you? 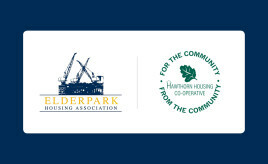 An information session exclusively for SFHA members, including subsidiaries/social enterprises. 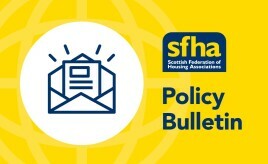 The bulletin will feature updates and guidance on all categories of our policy work including governance, regulation, development, energy efficiency, housing management, health and social care, finance, social security and more. Review will share good practice, provide a ‘critical friend’ role and highlight potential ideas to enhance governance.